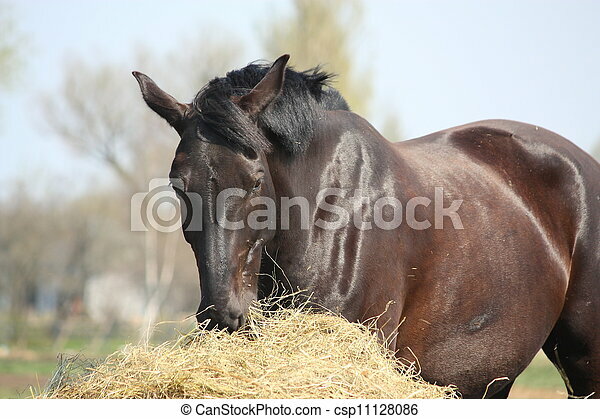 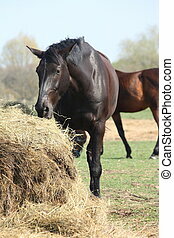 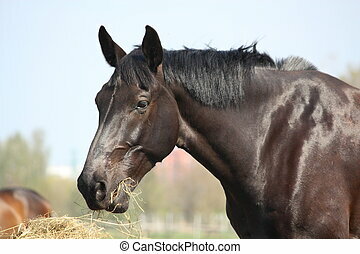 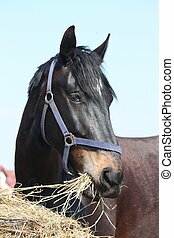 Black horse eating hay. 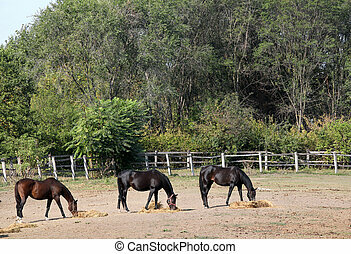 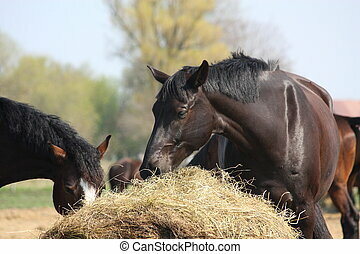 Black horse eating dry hay. 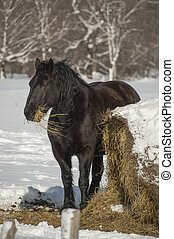 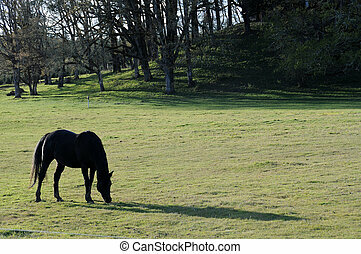 Portrait of a black horse in its pasture field in the snow with trees behind. 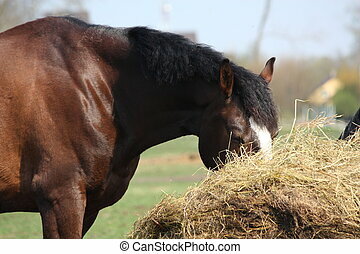 Have a big round hay bale with snow on it. 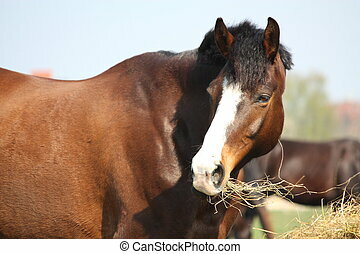 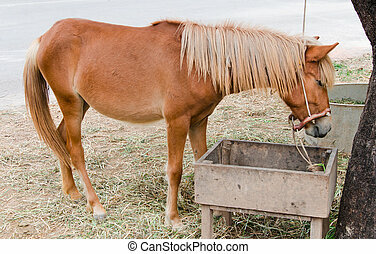 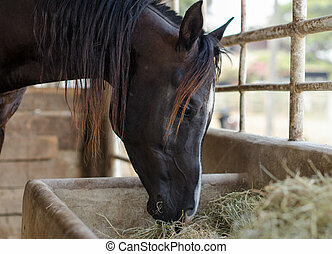 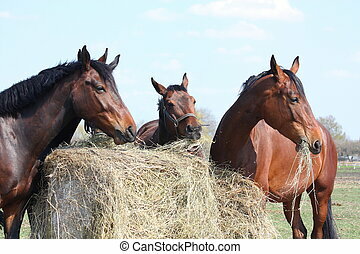 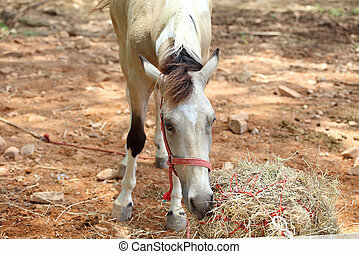 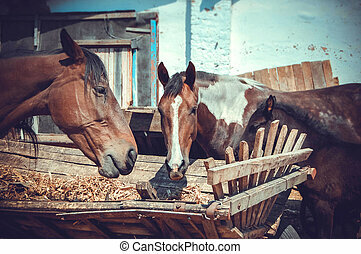 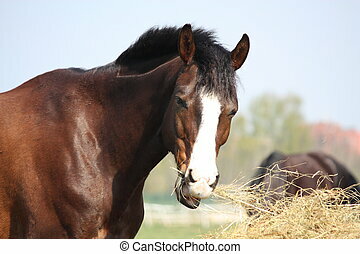 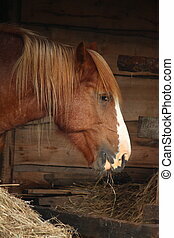 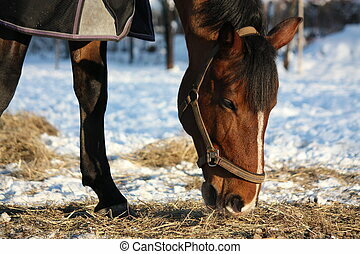 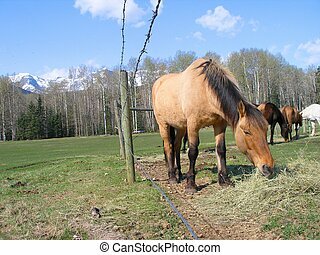 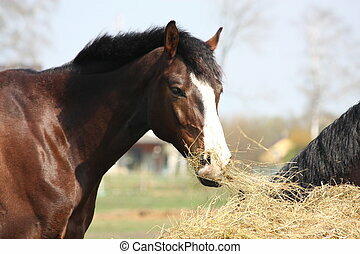 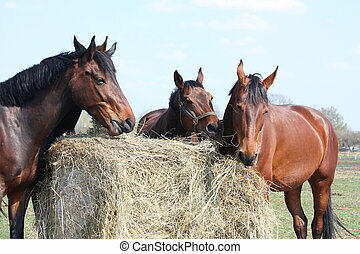 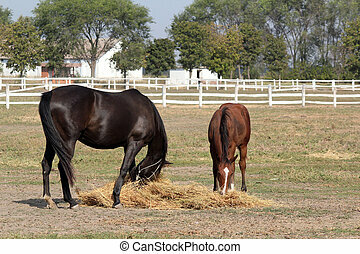 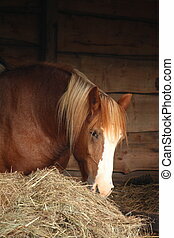 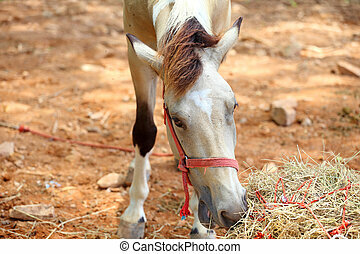 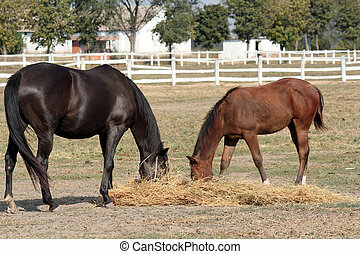 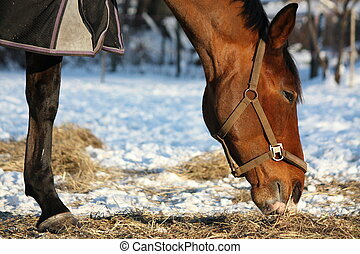 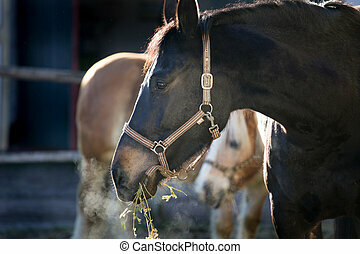 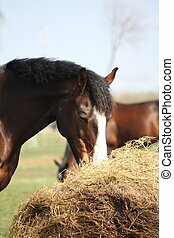 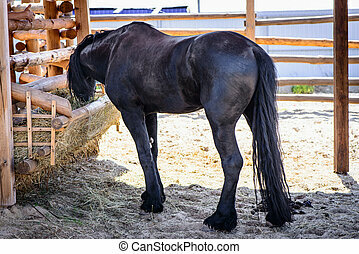 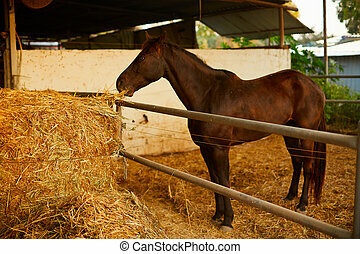 Brown horse eating hay in horse stable.